PetSafe Simply Clean Self Cleaning Litter Box is an excellent choice for cat owners looking for a low maintenance solution. The innovative system created by Petsafe works with a ringed litter bowl. 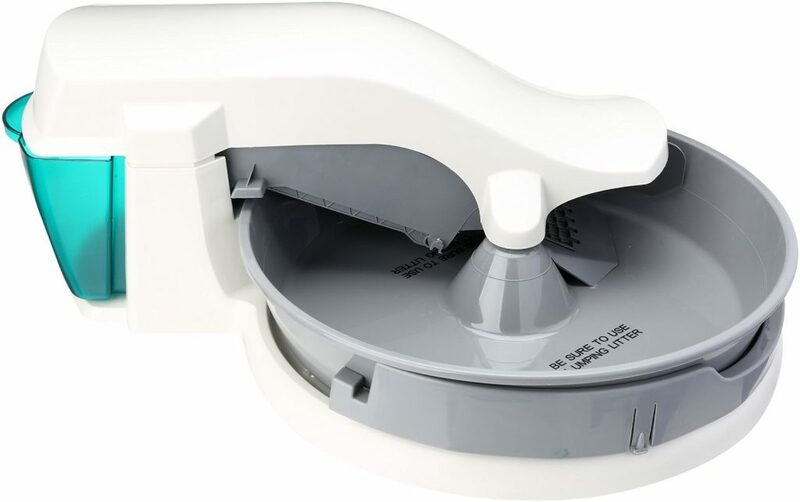 The automatic cleaning system continually rotates around the ringed bowl. The arm makes one cleaning rotation an hour. The unit works best with premium clumping litter and is great at eliminating litter box odors. You won’t need any special supplies with this self cleaning litter box, as the device can collect waste in any bag. The best part is how easy it is to clean this device is. Just grab the bag of waste from the unit and dispose of it. Your hands will never get dirty. The Petsafe Simply Clean Auto Litter Box is perfect for cats up to 12 lbs, but larger cats don’t do well with it. Kittens should not use this litter box until over six months old. This litter box offers dimensions of 26 x 19 x 10 inches. The unit weighs nearly 14 lbs. when assembled. Your cat may have an adjustment period when using this box due to the continual movement. You can let the old litter box get too dirty to use until your furry friend comes around to the Petsafe Simply Clean Auto Litter Box. Another option is to move some waste from the old box to this new one. Make sure you take this unit apart now and then to clean it. While the whole unit can’t be disassembled, most of it can. Make sure to lube the tray rollers in some WD40 to ensure they keep working and quiet. 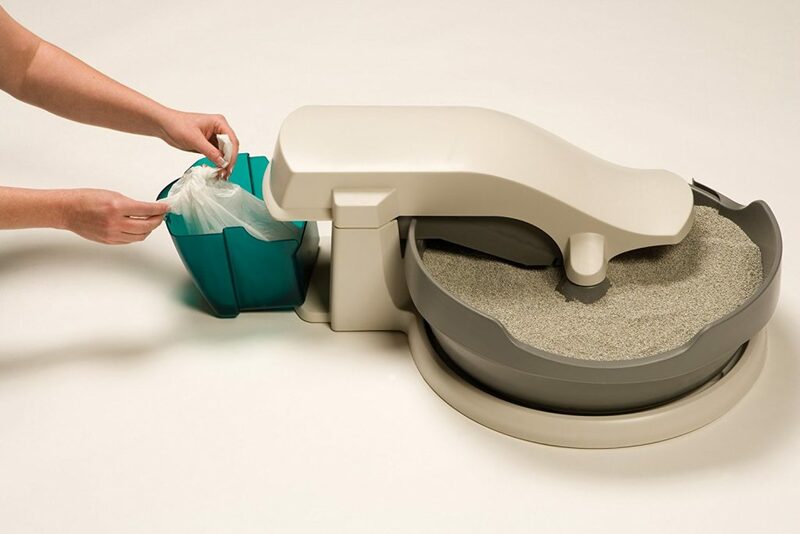 The PetSafe Simply Clean Auto Litter Box is an innovative concept for your cat. The box does work as advertised and is great about ridding the room of litter box odors. The issue is that this box has longevity problems. The device may break down over time. Sooner than later – this unit will make loud squeaking noises from the gears (and you’ll have to add WD40). That being said – if you keep up with the little maintenance this box requires and invest in premium clumping litter, then this could be a great box for your furry friend. Small to mid-sized cats are best suited for the Petsafe Simply Clean Auto Litter Box. Large cats won’t like this unit. After doing reviews of automatic litter boxes, we noticed that this one doesn’t work too well for multiple cat households, either. If you’re looking for a long-lasting device that’s maintenance free – then this isn’t it. The PetSafe Simply Clean Auto Litter Box is great for some cats. The device can operate over short trips of three to four days with no problem. Overall the unit works as advertised and will ensure your furry friend has one of the better smelling litter boxes in the neighborhood. There are better options that we’ve outlined in this post though.